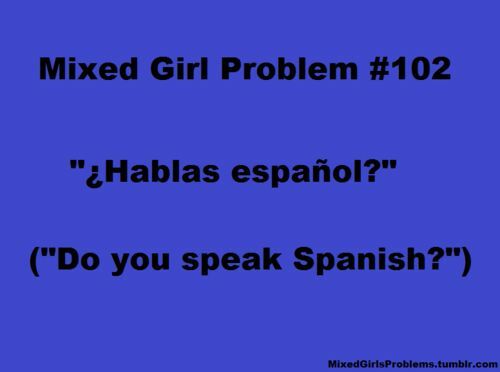 Even after I explain my ethnicity, people still assume I speak Spanish. I have even been told that I should because even “Puerto Ricans”, “Dominicans” and “Cubans” stem from African, European, Native American and Spanish roots and Spanish is their native language. Well, I’m not Puerto Rican, Cuban nor Dominican and neither is anyone in my bloodline of my ancestry. 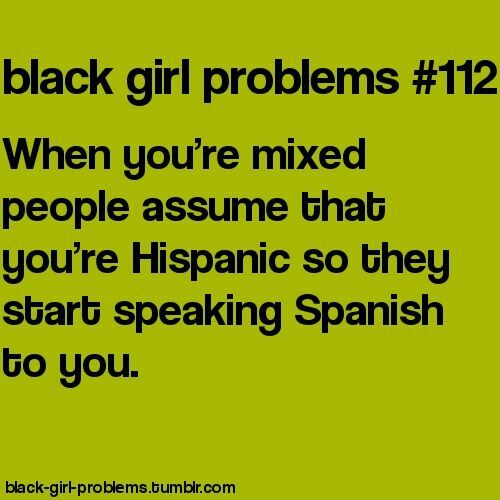 I do not have Spanish nor European roots and no one on my mothers Native American side speaks Spanish and neither does anyone from my father’s African American and Nigerian side, so I’m unable to speak Spanish to benefit your racist stereotypical expectations. I’m proud to be a Native, Nigerian and African American. You want to fix racism, start in the mirror. BASED UPON WHO BUILT THIS COUNTRY, LOOKS AS THOUGH I AM A TRUE AMERICAN.